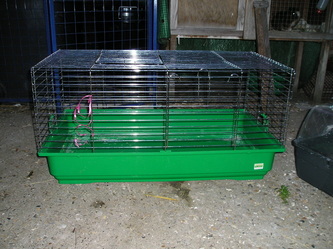 Guinea pigs can happily live inside in a cage or outside in a hutch, and there are a range of cages and hutches available. 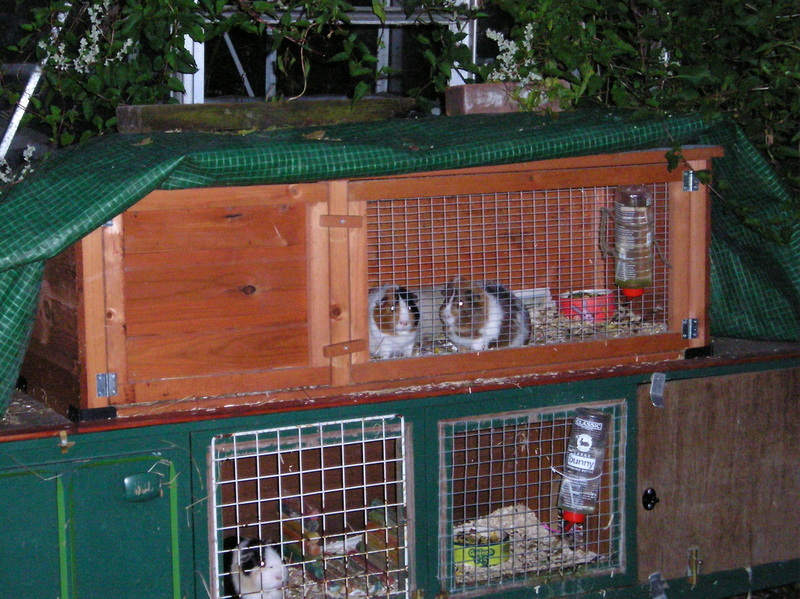 The hutch for the garden should have an enclosed bed area and a living area that is open, should be raised off the ground and secured against the weather and predators. 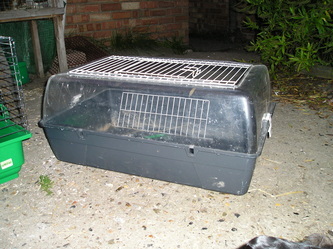 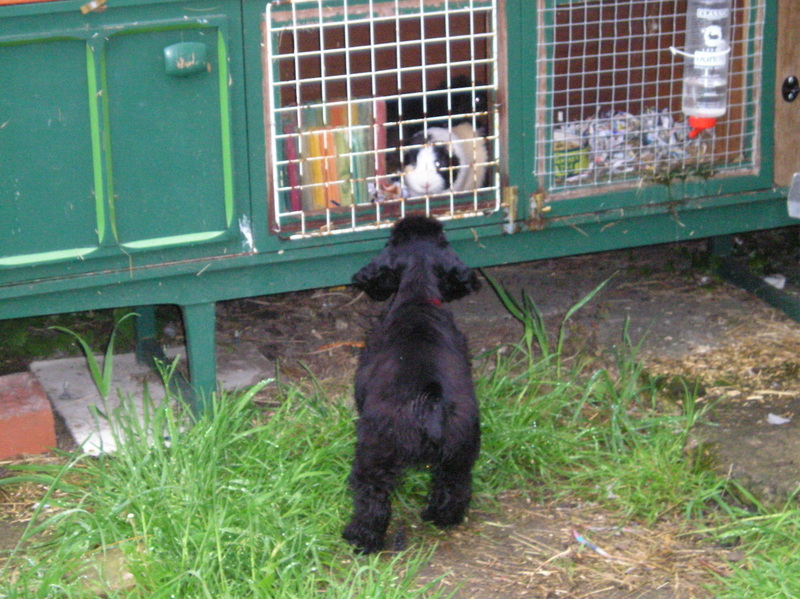 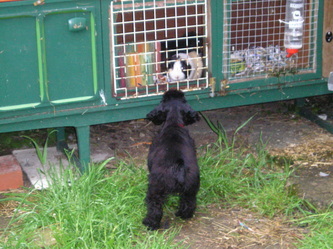 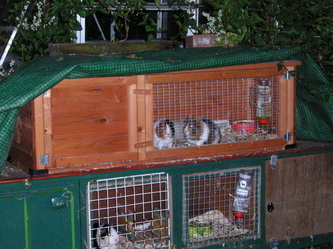 The hutch should be away from direct sunlight but not in darkness and shaded from the wind, rain and damp. 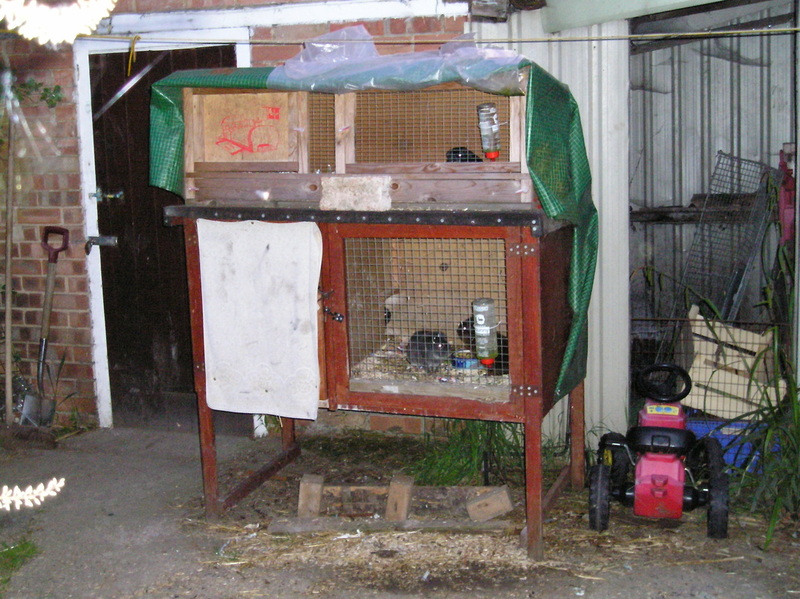 In bad weather and especially in the winter the hutch should be covered by either purposely bought hutch covers or a sheet of tarpauling or even plastic food bags, ensuring that the guinea pigs still have enough air to breathe, or moved into a well ventilated shed or outbuilding. 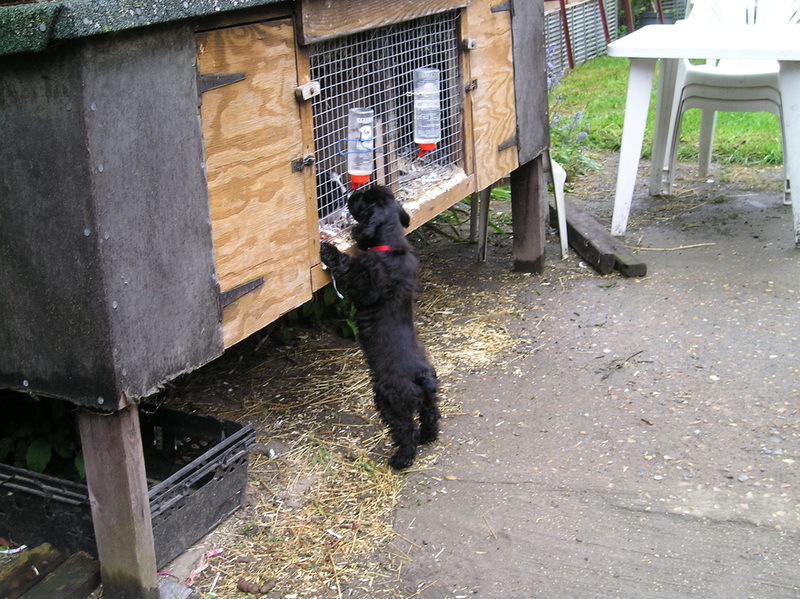 Indoor cages are easier as the house is usually maintained at a fairly constant temperature and humidity. 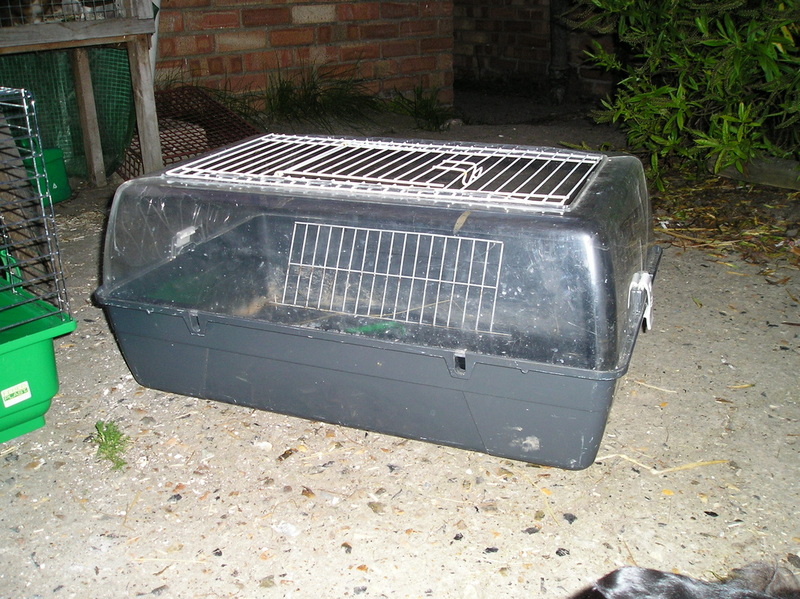 The cage needs to be protected from predators within the house, such as cats and dogs, and also away from electrical leads and wires. 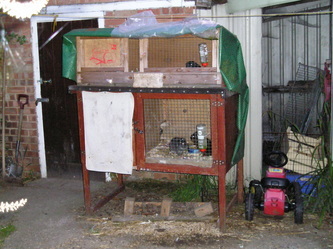 For ease of cleaning both for outside and inside piggies I layer the bottom of the house with a thick layer of newspaper and then a layer of dust free shavings or shredded paper and then some hay. 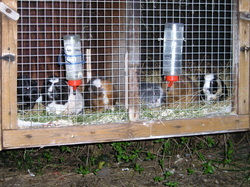 Never use straw as it is often too harsh for the piggies sensitive eyes.